You should attempt to locate the unit with 5' of the hot tub or pool. 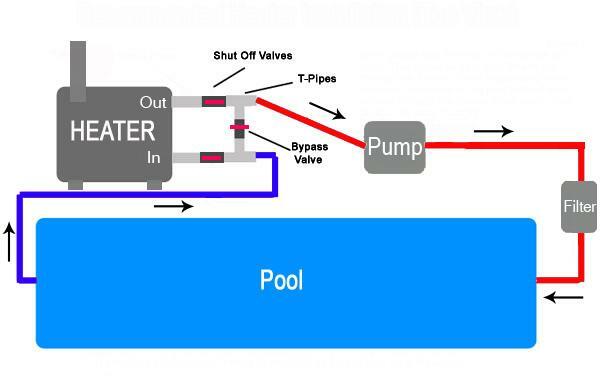 A top port connection and bottom port conection needs to be made in the pool or hot tub. These should be at least 18" appart from each other. 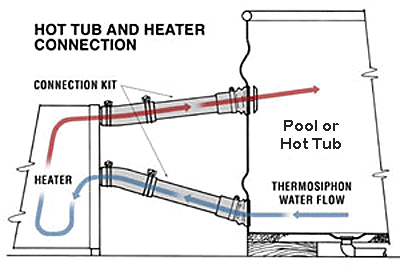 connect the Wood Fired Heater to the pool ports using 1 1/2" high temperature piping or flex hose. Note: regular PVC pool pipe will get very soft under normal operating temperatures and should not be used. 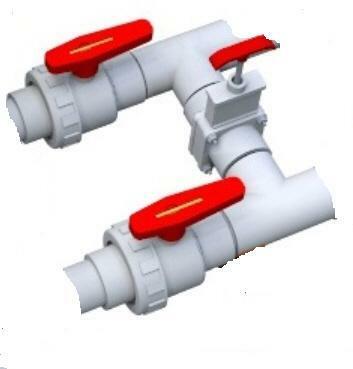 A by pass valve should be created to ensured proper servicing.